As US President Donald Trump uses his time in Brussels to lambast European leaders for their various failings, as he sees them, a photograph now making the rounds on Twitter has captured the mood perfectly. 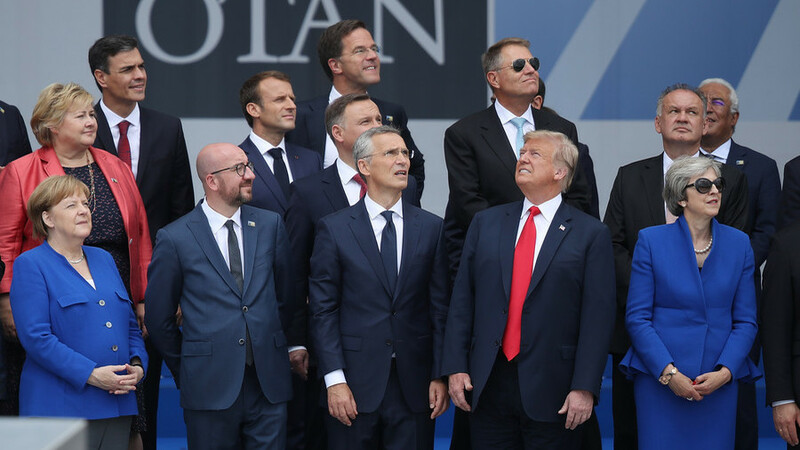 When NATO leaders stood to have their group photo taken ahead of the summit’s opening ceremony, they all seemed to be looking at something to their left. Trump’s attention, however, was caught by something to the right — and the perfect meme was born. One Twitter user suggested that the photograph was the “perfect metaphor” and that Trump “sees the world the wrong way” in comparison with his NATO allies.